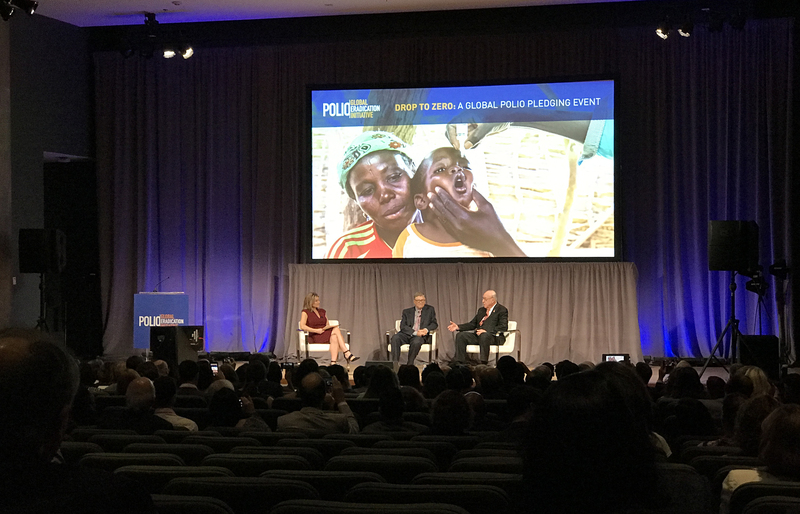 At the Rotary International Convention, global leaders and key donors affirm their commitment to ending polio and pledge more than $1 billion in new money for the fight. With polio on the brink of eradication, nations from around the world and key donors pledged $1.3 billion to energize the global fight to end the paralyzing disease. Gates told the crowd of nearly 24,000 that, starting 1 July, his foundation will extend its 2-1 match to cover up to $50 million in donations to Rotary for each of the next three years. The match and donations to Rotary would add up to $150 million per year over the next three years, which will add up to $450 million to the fight. John Cena, WWE Superstar, actor, and Rotary polio ambassador, emceed the pledging event. He applauded Rotary's determination to end the disease. "You were the trailblazers who wanted to prove to the world that this insurmountable task could be done," he said.